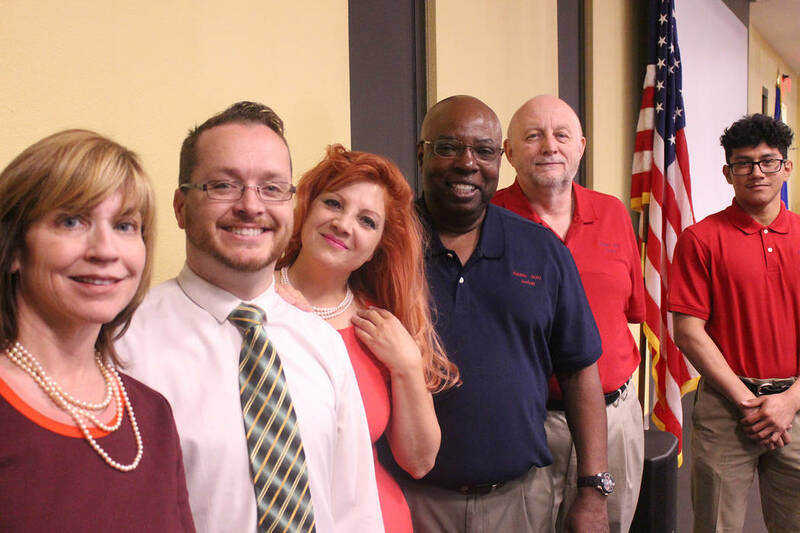 Jeffrey Meehan/Pahrump Valley Times Shown is the team working to bring Pahrump Valley Academy to town as its first public charter school, including Sable Marandi, third from the left. 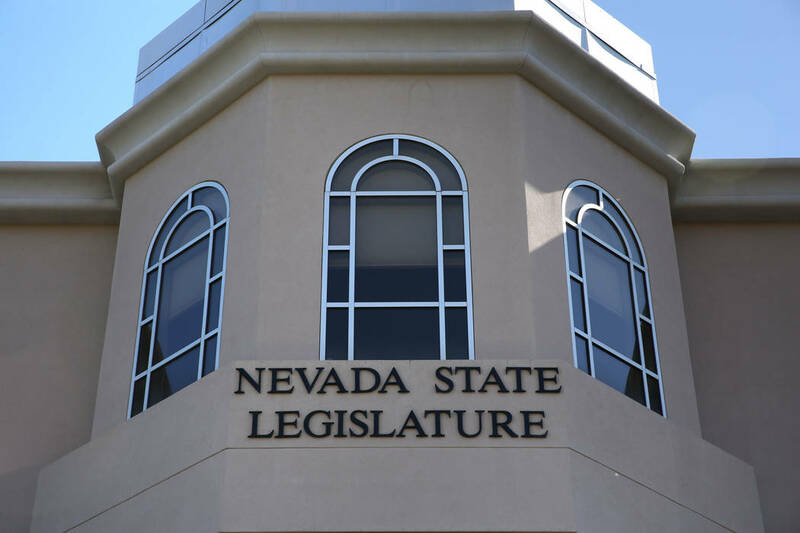 There are concerns locally as to how a bill before the Nevada Legislature might impact the endeavor to open the charter school. Titled Assembly Bill 462, the legislation aims to curb the approval and opening of new charter schools in Nevada until 2021. If passed as currently written, the bill could put the brakes on Pahrump Valley Academy’s plans to open its doors in the fall of 2020. The situation is fluid, however, with various factors influencing the outcome. Namely, the bill must first pass the Legislature and there is always the possibility that the language could be changed during the process. The Assembly Committee on Education, the entity that is listed as the primary sponsor of the bill, held its first hearing on the bill on April 4 but no vote has taken place. The committee has also submitted a proposed amendment to the language that, if approved, would provide a buffer for budding charter schools that have already begun the process. The proposed amendment also stipulates a variety of new requirements for the State Public Charter School Authority. Included are the establishment of the five-year growth management plan, the initiation of evaluations of each existing charter school and the submission of reports to the Legislative Committee on Education for both. Those in support of the bill have stated they feel that charter schools have grown very rapidly and do not have accountability or transparency in their operations. “Over the last 22 years, charter schools have grown dramatically to include large numbers of charters that are privately managed, largely unaccountable, and not transparent as to their operations or performance. The explosive growth of charters has been driven, in part, by deliberate and well-funded efforts to ensure that charters are exempt from the basic safeguards and standards that apply to public schools,” testimony in favor of the bill submitted by the Nevada State Education Association asserts. As of press time, there was no work session planned for Assembly Bill 462 but the possibility that one could be called remains. If the bill does not pass out of the Assembly Committee on Education by Friday, April 12, it will be declared killed by deadline. However, if it does pass committee, it must then go to the Assembly floor for a vote of the entire Assembly and must pass in that house no later than April 23, after which it would be sent to the state Senate to repeat the process. If the bill passes out of committee with the proposed amendment, it appears that Pahrump Valley Academy would escape unscathed as the entity is involved in the process necessary to become an official public charter school. “PVA has already submitted its letter of intent to the state and is currently actively engaged in the applicable application cycle,” Pahrump Valley Academy Chief Educational Officer Sable Marandi stated. Pahrump Valley Academy is not the only entity that could be affected by the bill however and Marandi made it clear that she opposes the legislation as something she feels would limit the educational possibilities for the next generation. When reached for comment on the issue, Marandi responded with a letter detailing her belief that charter schools serve a vital function and should be preserved. Marandi wrote, “… the charter school movement has assumed responsibility for the education of multitudes of our youth, as well as diligently met the said responsibility. Marandi is far from the only one voicing her opposition, with both Nevada State Senator Pete Goicoechea and Nevada Assemblyman Greg Hafen II, who represent Pahrump and much of Nye County, proclaiming that they also do not agree with the legislation. Goicoechea said he is hopeful that the bill will not pass by deadline and the matter will rest there, at least until the next legislative session.